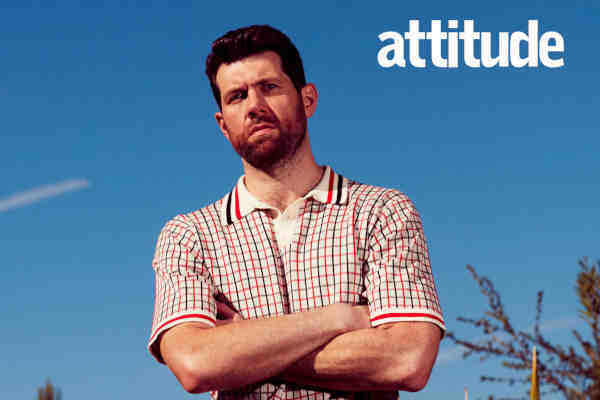 Out actor-comedian Billy Eichner says he's “really impressed with Taylor Swift for speaking out” politically. “It is strange to me that [celebrities] wouldn’t want to use [their platform], considering the level of evil, corruption and cruelty coming from the highest positions of power in our government," Eichner told UK LGBT glossy Attitude. "On one hand, you might say she should have done it earlier, and I don’t necessarily disagree with that,” he said. “And I know that’s true of millions of people all over the USA and throughout the world. Fewer people are just standing on the sidelines and not participating." "Above everything, beyond being 'a liberal, gay, Jewish New Yorker,' I simply don’t like being lied to and I don’t like to see people with less resources being exploited – even if we disagree politically – by wealthy people in positions of power,” he added.